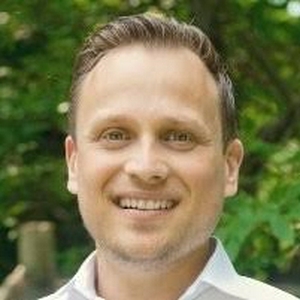 On this episode, I speak with Nick Lynch of the Pistoia Alliance ( www.pistoiaalliance.org ), a global nonprofit community of life science stakeholders that works to lower barriers to R&D innovation. A new area of strategic focus is artificial intelligence, which Nick oversees. On this episode, you'll learn challenges with AI that the Pistoia Alliance aims to address, why education and data are key to doing so, and how you can get involved. This episode is brought to you by BenchSci ( www.benchsci.com ). BenchSci uses artificial intelligence to reduce the time, uncertainty, and cost of scientific experiments. Use it to find research antibodies up to 24x faster than using PubMed or Google Scholar. Just enter a protein of interest and filter by technique, organism, tissue, or 13 other options. BenchSci returns only relevant published figures and products. It’s free for academic researchers. Learn more and sign up at www.benchsci.com . On this episode, I speak with Lucas Siow, Head of Business Operations at ProteinQure ( www.proteinqure.com ). ProteinQure uses artificial intelligence and quantum computing to design protein-based drugs such as antibodies and peptides. On this episode, you'll learn the benefits of protein-based drugs, challenges with discovering them, and how ProteinQure has combined emerging technologies in what may be the most science fiction-sounding drug discovery startup I've seen yet. This episode is brought to you by BenchSci ( www.benchsci.com ). BenchSci uses artificial intelligence to reduce the time, uncertainty, and cost of scientific experiments. Use it to find research antibodies up to 24x faster than using PubMed or Google Scholar. Just enter a protein of interest and filter by technique, organism, tissue, or 13 other options. BenchSci returns only relevant published figures and products. It’s free for academic researchers. Learn more and sign up at www.benchsci.com . On this episode, I speak with Regina Barzilay of MIT's Machine Learning for Pharmaceutical Discovery and Synthesis consortium ( http://mlpds.mit.edu ). Regina is a prolific researcher with many highly cited papers in machine learning. On this episode, you'll learn what drove the need for the consortium, the importance of standards and benchmarks for AI drug discovery research, and the progress researchers are making in applying machine learning to chemical synthesis. This episode is brought to you by BenchSci ( www.benchsci.com ). BenchSci uses artificial intelligence to reduce the time, uncertainty, and cost of scientific experiments. Use it to find research antibodies up to 24x faster than using PubMed or Google Scholar. Just enter a protein of interest and filter by technique, organism, tissue, or 13 other options. BenchSci returns only relevant published figures and products. It’s free for academic researchers. Learn more and sign up at www.benchsci.com . On this episode, I speak with Tim Guilliams and David Brown of Healx. Healx uses AI to repurpose existing drugs for rare diseases. They claim their approach can bring new treatments to patients 80% faster and 90% cheaper. 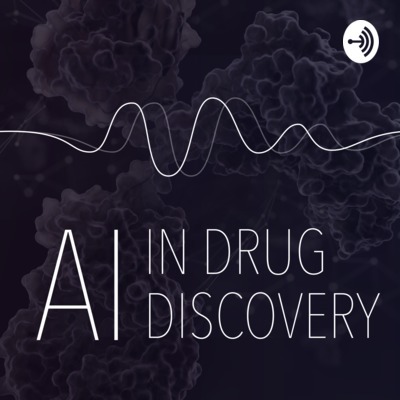 On this episode, you’ll learn how rare diseases are surprisingly common, why drug repurposing holds promise to treat them, and how Healx uses AI to do it. And you will, I hope, be inspired by a powerful example of AI's potential in healthcare. This episode is brought to you by BenchSci ( www.benchsci.com ). BenchSci uses artificial intelligence to reduce the time, uncertainty, and cost of scientific experiments. Use it to find research antibodies up to 24x faster than using PubMed or Google Scholar. Just enter a protein of interest and filter by technique, organism, tissue, or 15 other options. BenchSci returns only relevant published figures and products. It’s free for academic researchers. Learn more and sign up at www.benchsci.com . On this episode, I speak with John Cassidy, CEO of Cambridge Cancer Genomics ( www.ccg.ai ). CCG aims to transform oncology by combining liquid biopsy with genomics and artificial intelligence to predict disease progression and improve treatment. On this episode, you’ll learn about the challenges with chemotherapy that CCG is tackling, the role that liquid biopsy and artificial intelligence play in their solution, and how their approach could forever change the way we treat cancer. This episode is brought to you by BenchSci ( www.benchsci.com ). BenchSci uses artificial intelligence to reduce the time, uncertainty, and cost of scientific experiments. Use it to find research antibodies up to 24x faster than using PubMed or Google Scholar. Just enter a protein of interest and filter by technique, organism, tissue, or 13 other options. BenchSci returns only relevant published figures and products. It’s free for academic researchers. Learn more and sign up at www.benchsci.com . On this episode, I speak with Kristen Fortney, founder and CEO of BioAge Labs ( www.bioagelabs.com ). Kristen leads one of just a few companies focused explicitly on aging itself, rather than the diseases for which aging puts people at greater risk. In this episode, you’ll learn how BioAge combines unique data sources with in silico analysis and lab experimentation to expedite the search for novel interventions that might just help you live healthier, longer. This episode is brought to you by BenchSci ( www.benchsci.com ). BenchSci uses artificial intelligence to reduce the cost of scientific experiments. Use it to find research antibodies up to 24x faster than using PubMed or Google Scholar. Just enter a protein of interest and filter by technique, organism, tissue, or several other options. BenchSci returns only relevant published figures and products. It’s free for academic researchers. Learn more and sign up at www.benchsci.com . On this episode, I speak with Sam Cooper, cofounder and CEO of Phenomic AI ( www.phenomic.ai ). Sam and his team use machine learning for automated image analysis to study cell biology and screen drugs. But that’s just the beginning. In this episode, you’ll learn about Phenomic’s distinct approach to drug discovery, its use of machine learning for high content screening, and how they plan to scale from a technology company to a full stack biotech business. This episode is brought to you by BenchSci ( www.benchsci.com ). BenchSci uses artificial intelligence to reduce the cost of scientific experiments. Use it to find research antibodies up to 24x faster than using PubMed or Google Scholar. Just enter a protein of interest and filter by technique, organism, tissue, or several other options. BenchSci returns only relevant published figures and products. It’s free for academic researchers. Learn more and sign up at www.benchsci.com . On this episode, I speak with Shai Shen-Orr, cofounder and chief scientist of CytoReason ( www.cytoreason.com ). CytoReason has created a machine learning model of the immune system. This model can integrate data from multiple sources to support drug discovery, the creation of diagnostic tools, and more. In this episode, you’ll learn about systems immunology, its potential in medicine, and how CytoReason applies artificial intelligence to make sense of the growing body of immune-related data. This episode is brought to you by BenchSci ( www.benchsci.com ). BenchSci uses artificial intelligence to reduce the cost of scientific experiments. Use it to find research antibodies up to 24x faster than using PubMed or Google Scholar. Just enter a protein of interest and filter by technique, organism, tissue, or several other options. BenchSci returns only relevant published figures and products. It’s free for academic researchers. Learn more and sign up at www.benchsci.com . On this episode, I speak with Leila Pirhaji, founder and CEO of ReviveMed ( www.revive-med.com ). ReviveMed uses artificial intelligence to unlock the therapeutic potential of metabolomics. Before learning about ReviveMed, I knew little about metabolomics. Leila is an articulate and enthusiastic teacher, and her passion is infectious. In this episode, you’ll learn about metabolomics, its potential for disease diagnosis and treatment, and how ReviveMed uses artificial intelligence to realize the opportunities. This episode is brought to you by BenchSci ( www.benchsci.com ). BenchSci uses artificial intelligence to reduce the cost of scientific experiments. Use it to find research antibodies up to 24x faster than using PubMed or Google Scholar. Just enter a protein of interest and filter by technique, organism, tissue, or several other options. BenchSci returns only relevant published figures and products. It’s free for academic researchers. Learn more and sign up at www.benchsci.com . On this episode, I speak with Mostapha Benhenda of Startcrowd ( http://www.startcrowd.club ). In January, Mostapha wrote a controversial article critiquing several research labs ( https://bit.ly/2qINvQ9 ). Some accused him of using the article just to promote his service. Others agreed with his criticisms. A few took steps to address them. I caught up with Mostapha to learn what prompted the article, how the field evolved since he wrote it, where he sees things going, and more. This episode is brought to you by BenchSci ( www.benchsci.com ). BenchSci uses artificial intelligence to reduce the cost of scientific experiments. Use it to find research antibodies up to 24x faster than using PubMed or Google Scholar. Just enter a protein of interest and filter by technique, organism, tissue, or several other options. BenchSci returns only relevant published figures and products. It’s free for academic researchers. Learn more and sign up at www.benchsci.com . On this episode, I speak with Mauro Cozzi, co-founder of Researchably ( www.researchably.com ). Researchably is a biomedical search engine that uses artificial intelligence to save researchers time—Mauro says up to 90%—searching for scientific papers. I spoke with Mauro about how Researchably got started, how it helps researchers find relevant literature faster, and the challenges they’re working to overcome to continue their growth. This episode is brought to you by BenchSci ( www.benchsci.com ). BenchSci uses artificial intelligence to reduce the cost of scientific experiments. Use it to find research antibodies up to 24x faster than using PubMed or Google Scholar. Just enter a protein of interest and filter by technique, organism, tissue, or 12 other options. BenchSci returns only relevant published figures and products. It’s free for academic researchers. Work in industry? Request a demo at www.benchsci.com. Dekel Gelbman, CEO of FDNA, on "Next-Generation Phenotyping"
For the inaugural episode of Artificial Intelligence in Drug Discovery, I spoke with Dekel Gelbman, CEO of FDNA ( https://www.fdna.com/ ). FDNA enables precision medicine by using artificial intelligence for next-generation phenotyping. Their technology links genetic traits with phenotypic characteristics such as facial structure. Listen now to learn what inspired the technology, the problems it solves, how it can help in the drug discovery process, and where FDNA plans to take it. This episode is brought to you by BenchSci ( https://www.benchsci.com ). BenchSci uses artificial intelligence to reduce the cost of scientific experiments. Use it to find research antibodies up to 24x faster than using PubMed or Google Scholar. Just enter a protein of interest and filter by technique, organism, tissue, or 12 other options. BenchSci returns only relevant published figures and products. It’s free for academic researchers. Work in industry? Request a demo at https://www.benchsci.com.